As organizations strive to become more adaptive and nimble, they are adopting Agile software development. 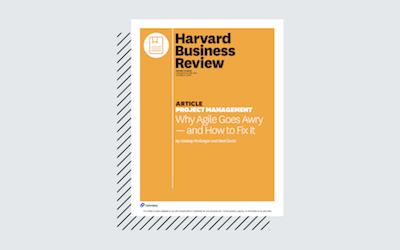 While Agile can have tremendous benefits such as better collaboration between teams, improved responses to change, and greater learning, it can end up hurting teams when implemented incorrectly. Many engineering and product teams are deeply focused on understanding what customers want and what will motivate them to buy. The best teams focus on maximizing their “speed to truth.” To do this, teams need to experiment and iterate quickly.